With an elite panel of fitness experts, ultra-modern fitness equipment, well-furnished interiors, and modish changing rooms and lockers, the Three Graces fitness centre, spread over 5000 square feet, is meant to deliver results. Our ‘Personalized Wellness Plan’ which strives at customized approach to physique enhancement, fitness, health, and all-round well-being goals have made us the pioneers of fitness. At Three Graces, we’ve integrated all possible fitness techniques under one roof. Equipped with innovative and leading fitness industry technologies like Vibrogym and cutting-edge equipment from BMW like StarTrac’s personalized machines and systems, our gymnasium is the epitome of adrenaline-pumping workouts. We use the infallible combination of exercises like cardio, strength training, and free weights along with individual and group classes to expedite the process of fulfilling fitness goals. Our certified gym trainers prepare healthy diet plans and unique target-oriented workout programs which they monitor themselves with regular evaluation. To further empower and motivate you, we have E-fitness, a unique technology with online tracking, automated workout reporting, goal setting, and the benefit of saving cardio workouts on personal USB. To take your gym experience at Three Graces to another level, we facilitate with plushy sauna and steam and luxurious and warm wet areas infused with the essences of tranquility. You’ll keep returning to our wet areas once you indulge yourself and unwind in its relaxed atmosphere that stimulates the senses. We are passionate about Pilates and the benefits that it can bring to your flexibility, core strength, and body alignment. Each of our Pilates classes, workshops, and intensives is categorized according to the skill level. To ensure more one-to-one interaction with the trainers, we limit the duration of our classes while giving you complete worth of your money. 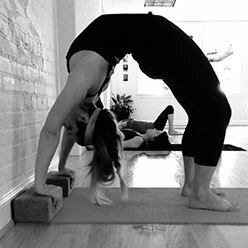 Our team of most skilled instructors empowers you to have a playful spirit and peaceful mind through Yoga. Using a combination of traditional and modern asanas, we help you reap all the benefits of Yoga. Are you ready to take your fitness level a notch higher? Join us now.